Andurand Capital Management LP’s long-term business vision has always been to create an energy asset manager in the broadest sense, including alternative and renewable energy as well as fossil fuel based energy – and covering multiple asset classes. 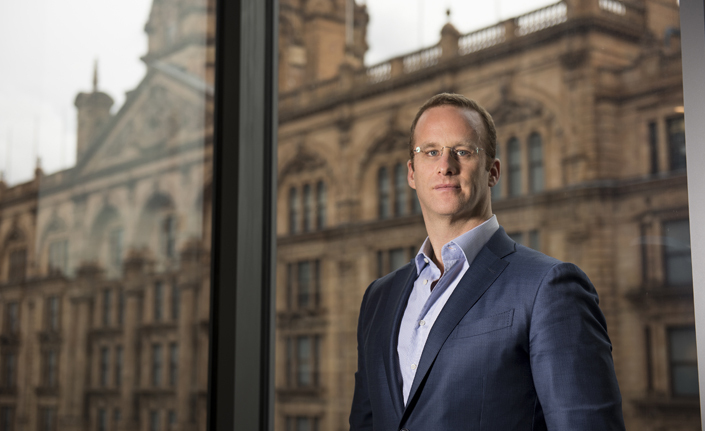 Andurand is now a global firm managing $1.2 billion as of December 2017 with 27 staff across three offices: London, Malta and New York, which has three staff mainly carrying out research for the commodity futures strategy with one analyst also looking at alternative energy, which is more relevant for the new equity strategy. This new equity long/short strategy using commodity equities to express both directional views on commodity prices, and security-specific views on companies, is one of two distinctive new offerings rolled out in 2017. The other is a UCITS version of the commodity futures trading strategy that is the latest episode in Pierre Andurand’s energy trading career that has generated cumulative returns of approximately 3,700%, with the Andurand Commodities Fund up 114.5% from inception in February 2013 to December 2017. All Andurand strategies are discretionary and fundamental. In early 2018, Andurand is bullish on energy prices and on selected energy equities, which arguably do not even discount current oil prices, let alone expected increases. Multiple developments during 2017 have emboldened Pierre Andurand in his call for higher oil prices, and led the firm to increase its level and range of price forecasts. The technical dynamics of the oil market meant that it took longer than expected for the fundamental thesis to play out however. In early 2017, Andurand noticed amongst the wide spectrum of data it monitors that “large inventory draws started in places where the market could not easily see, such as physical (ie non-futures) markets outside the OECD and areas with high costs of storage. Yet the oil price went down as hype around electric vehicles, peak demand and US shale led to a popular perception of supply growing beyond demand.” The contango configuration of the market in early 2017 also made it harder for longs to remain invested, due to the roll costs of futures markets. “The shift into backwardation in June 2017 (for most oil markets outside WTI) marked the trough, confirmed that the physical market was tight, and lured more longs into the market,” says Andurand. But Andurand reckons that markets are still behind the curve, in terms of pricing in fundamentals, with two-year forwards looking weak in December 2017. The backwardated market structure means that producers are locking in much lower prices than are being realised today. Andurand sees scope for major unwinding of these hedges, whereby producers buy back the futures and options they have sold. “Oil prices are close to rising above the strikes of the options. If this happens, producers may have to buy back hedges as they do not have strong enough creditworthiness, and/or cash, to meet the mark to market pain of margin calls,” he says. Fundamentals and US shale hype? In any case, Andurand does not envisage more speculative buying or producer de-hedging is needed for the next leg up in oil prices, which could be driven simply by supply and demand. “Starting from a low base of inventories, we expect a draw of one million barrels per day next year, based on full OPEC compliance. The market will soon be begging OPEC to bring on more production. We could see an oil price of 80 even if OPEC raises output,” says Andurand. Andurand completely rejects the notion, promoted by some on the sell side, of a ‘new oil order’ paradigm, under which a self-equilibrating market sees US shale output increases choke off price rises. “US production is nearly flat while global demand is up by 5 million barrels per day over the past three years. Very few new projects are coming on stream from 2019 onwards and US rig productivity is likely to trend down. Rising rig counts are not a reliable indicator because apparent increases in productivity have arisen from a temporary factor, of migration from ‘tier 3’ to ‘tier 1’ areas, which will soon reverse. Tier 2 productivity is 30% below tier 1, and tier 3 is 50% lower, so output per well will eventually decline,” he expects. Andurand also views the US shale industry as having been propped up by cheap finance, mainly from issuing high yield debt. Fundraising could be threatened by interest rate increases, which could in turn be accelerated by oil-induced inflation. Andurand estimates that the US exploration and production industry (which has a high proportion of shale) has racked up negative cash-flows of $300 billion since 2006, destroyed $500 billion of enterprise value since 2003, and seen no year of positive cash-flow quarter since 2009. Despite all of this, Andurand’s current forecast for US production to rise by 1 million barrels per day (bpd) in 2018 is perhaps only half a million bpd below consensus. Nor is his outlook for global demand growth of 1.7 million bpd much at variance with the conventional wisdom. This level of demand growth is some of the strongest ever seen, with the cumulative five-year rise in oil demand very close to the highest levels seen in thirty years. Where Andurand departs more markedly from consensus is in non-OPEC, ex-US, output, where he expects steeper decline rates from smaller fields. “Non-OPEC, non-US, output has in fact been in terminal decline since peaking thirty years ago in the 1980s,” Andurand points out. He also estimates non-OPEC, non-US, capital spending is $1 trillion below trend growth rates. Andurand’s base case is 80-dollar oil with no extension of OPEC/Russia cuts; 90-100 USD with a nine-month extension and as much as 150-300 USD with severe supply disruptions (which might see OPEC production plummet as much as 10 million barrels per day under extreme scenarios). Both local politics, and geopolitics in and around key producers, present risks of output disruption. “Venezuelan production will likely be down by 400,000 barrels. There are risks in Nigeria and Libya. The elephant in the room is Saudi Arabia and Yemen. All in all, there is a non-zero probability of a big fall in production,” he fears. Andurand’s biggest position in the energy strategy is directional long exposure to the oil price and to oil price volatility. A by-product of producer hedging structures is that “options, implying 20% volatility, may be very cheap relative to where oil may go. Already, the market is moving by around $1 a day against option-implied moves of 75 cents a day. US producers are selling calls which means that the sell side owns a lot of options,” he observes. Andurand reckons the perception that oil prices will remain range-bound has also contributed to subdued option pricing. Andurand has been able to accumulate significant amounts of optionality at low cost, while staying within the clearly defined risk framework. This has allowed the strategy to post returns as high as 5% in October, while remaining inside a Value at Risk limit of only 1%. The strategy is not currently active in currencies, oil relative value trades, natural gas or metals, though Andurand does expect nickel and copper could benefit from the long-term story on electric vehicles. Andurand expects mass car ownership should continue growing, especially in emerging markets such as India, Bangladesh and Pakistan, which have very few cars. Andurand has carried out modelling of electric vehicle adoption, and doubts if many emerging markets have sufficiently well-coordinated planning systems to achieve mass EV adoption. Meanwhile, the sharing economy and car sharing, for example via UBER and GRAB, could actually substitute for public transport and increase overall demand for cars, some studies show. Andurand’s new equity strategy, The Andurand Commodity Equity Fund (AC Equity Fund) is up 9.5% net since inception in July 2017 as of December 2017. The fund is seeded by Pierre Andurand, and managed by Pascal Forest, is exposed to selected miners of nickel and cobalt that are inputs for electric vehicle batteries. Forest is avoiding firms based on the DRC (Democratic Republic of Congo) as he expects car makers will try to source metals away from the politically unstable and controversial DRC. There are limited pure play miners of cobalt, which is a by-product of copper and nickel mining. Currently, electric vehicles and associated inputs are a more important theme than solar, wind or clean tech, which are also potentially investable. Forest previously ran the long/short equity book at Andurand’s former firm, Bluegold; before that he covered TMT, industrials and consumer at Tremblant Capital, and earlier worked for ‘Tiger cub’ fund, Kicap Capital Management. After Bluegold closed, Forest set up his own firm, Forest Investments, trading commodity equities between 2013 and 2016. A two-way flow of information between the equity team and the commodity team generates a mutually beneficial cross-fertilisation of ideas. “Synergies with the commodities team, allowing for big picture views on energy and stocks, are a key differentiator,” says Forest, who stresses that, unlike many energy equity hedge funds, the strategy is not market neutral. Like Andurand’s commodity futures strategy, the equity strategy can express bold directional views on commodity prices. Pierre Andurand as CIO defines the top down views of commodity prices while Forest, as PM, is in charge of bottom-up stock-picking. The AC Equity strategy can also invest in idiosyncratic opportunities, such as corporate events (eg M&A, spinoffs, asset swaps, regulatory events and management change) that are not sensitive to commodity prices. The strategy, which trades liquid, listed securities, can also put on some market neutral trades. Forest is assisted by two analysts. Senior oil and gas analyst, Richard Shek, was previously an oil analyst at three firms: Talara Capital, earlier at Passport Capital, and previously at Deutsche Bank, where he was top ranked in the Natural Resources Group. Casey Dwyer, based in New York, looks at alternative energy. Andurand actually thinks backwardation currently means oil futures are preferable to equities as a way to play directional upside, but equities can offer exposure to themes such as alternative energy, which cannot be obtained through futures. That said, in late 2017 Andurand is of the general opinion that energy equities are not pricing in even the current forward curve for oil, let alone the upside that he expects. This scepticism is notably in stark contrast to the extreme optimism around electric vehicles. Consequently, net long exposure was around 70% when we met in December 2017. Forest pays attention to crowdedness and does not view energy stocks as being overcrowded longs at present; he observes that “the most popular shorts seem to be binary situations that have either performed brilliantly or terribly”). The strategy tends to focus on mid-caps and currently has an estimated investment universe of at least 350 stocks with market capitalisations above USD 1 billion, and average daily trading volumes of at least $10 million. Most positions are expected to be sized below one day of average one-year volume. The intention is to run a reasonably concentrated book with at least 20 names either side, and shorts sized smaller than longs. The range of sectors and sub-sectors is broadly defined to include many obvious areas and some more tangentially related areas. Upstream firms include oil majors, conventional E&P, shale E&P, and oil sands. Oil and gas services covers diversified, offshore drillers/seismic/vessels; onshore drillers/well completion/servicing; and engineering equipment. Midstream and downstream encompasses refiners; pipelines/storage; chemicals, and shipping/railways/airlines. Finally, alternative energy can mean power generation/equipment; EV makers/equipment; energy efficiency (smartgrids, LEDs, IoT) and diversified equipment. The strategy is global, but “most of the book is expected to be in North America, which has the largest and most liquid investment universe,” says Forest. While Forest can look at companies including state-owned firms in Russia, China or Latin America, the general preference would be to access EM assets via firms listed in major markets such as the US, Canada or UK. Below, we highlight a selection of views to give a taste of the analytical process. Andurand’s long held view is that US shale is a serial value destroyer need not mean that the strategy is only short or net short of US shale producers. Instead Forest’s team are looking for winners and losers. Shek “has looked at every shale basin in the US to understand the sweet spots, the over-hyped spots, and the quality of assets of each E&P – which are top-tier and which are second tier. We follow hundreds of thousands of wells and make our own assessment of decline rates,” explains Forest, who remembers back in 2010 some of his best investments captured the early shale story in Bakken names (his worst investments were North Sea E&P stocks hurt by UK Government tax increases in 2011). Forest’s anticipated shale winners include unhedged producers and those that are incentivised to generate cash on cash returns rather than just grow production and producers with the best or improving assets. “CEO compensation that was indexed to production growth is now moving towards cash-flow and returns,” says Forest. Meanwhile, other shale producers are in a mire. “The headline figure of 40-50 USD breakeven is very misleading as it ignores sand costs, acquisitions, infrastructure and pipelines,” says Andurand. Shale is not an inherently low-cost region but merely appears low cost because the US Government does not take a cut. “Breakeven would be USD 100 if the US government was taking the same share as other governments,” he argues. A normalisation of financial and credit market conditions could see some more marginal projects fall short of hurdle rates. Therefore, and circling back to Andurand’s big picture bullishness on oil prices, shale is not the swing producer in the way that OPEC, with genuinely lower full cycle costs. The relative merits of onshore, such as shale versus offshore drilling, are another portfolio theme. Andurand contends that higher oil prices could lead to a revival in offshore, deep water drilling. “These projects are expensive and take many years, but the market will need offshore oil,” he expects. Refineries are another, very cyclical, sub-sector that requires huge capital investment with multi-year lead times, where there could be shortages of capacity. “This could help to expand margins while new regulations could also help more complex refiners,” expects Forest. The AC Equity Fund has a clearly defined risk management and risk governance process just as the AC Commodity fund does. There is an independent risk management process that can be enforced by an empowered Risk Manager and the COO, (as discussed in our previous interviews with Andurand Capital). This includes a drawdown plan that reduces gross exposure, net exposure and Value at Risk limits in response to drawdowns. This is really a non-update! “As we were always a MiFID firm, we will see less transition in terms of time stamping trades,” says COO Hakan Haugnes. “Though we must tackle the mechanics of operating an RPA account, the firm has always had a clear charging structure for research which discloses spending with no confusion,” he adds. It has always been charged to the fund, up to a cap of 0.30%. The actual cost has shrunk to 0.10% due to asset growth. Andurand has never used soft dollars. Andurand’s weekly dealing, Irish UCITS is amongst very few UCITS that pursue discretionary, fundamental trading of commodities, and the only one we know of that focuses on energy trading. It runs at half the volatility of Andurand’s flagship strategy. A minimum investment of USD 1 million is designed for professional investors. Assets have so far reached USD 75 million, coming mainly from European investors who prefer UCITS, whereas most of Andurand’s assets come from the US. Andurand decided on a self-managed UCITS structure rather than using a third-party management company platform. The Andurand UCITS is up 11.76% net since inception inJuly 2017 as of December 2017.